This is true capitalism at work. At a certain point, the demographics and economics of small towns make it impossible for private businesses to survive. This is why we have governments! Certain human processes are just not profitable, no matter how necessary they are, and we ask the government to step in and do the work to align those incentives, or to put up its own offices instead. A relevant example of this is USPS which is not meant to be a profitable business, but a useful service. Capital flowing out of these towns is inevitable - it is up to local governments to figure out how to provide the necessary services for its people. If that means these little towns should not exist, so be it. And speaking of little towns, and local governments, here’s a piece on Taleb and his views on what governments should and should not do. Essentially, he advocates for small units of governemnt spurring from bottom up local knowledge. His quintessential example of this seems to be the Swiss canton system. Having just read Jane Jacobs’ amazing book on city building, I have to say I am starting to like these bottom up approaches more and more. An essay on various forms of social coercion, and how societies with different levels of trust deal with civil issues. Specifically, Wilson discusses how certain societies decrease the required level of trust between individuals on their day to day life, and how this leads to trade-offs between state coercion and social coercion instead of an increase in liberty. I find the topic fascinating, and welcome any and all suggestions on what else I should read about it. This is a neat article on humans merging with computers. Altman’s take is that this has already started happening (our phones are an extension of ourselves), and the trend is accelerating (double exponential of improving hardware and more people doing AI research). It reminded me of Minsky: “The serious problems come from having little experience with machines of such complexity that we are not yet prepared to think effectively about them.” But we’ve been augmenting ourselves for a long time. There’s a striking scene in The Name of The Rose where William explains the use for eye-glasses to other incredulous monks. The glasses quickly become a central object in the story. We’ve been augmenting our bodies with technology for centuries. As usual, a great post by Sinofsky. Here he argues against the “end of history” idea that you can’t compete against the big platform companies. His piece focuses on Google, Apple, Amazon, Microsoft, and (perhaps strangely) Adobe, tearing apart each company’s business model and finding the opportunities a newcomer could leverage against them. Everyone’s read the book, and executives at these companies know how to defend against one’s own incentives benefitting newcomers, but there are still cracks for startups to get through. And to keep going with the thread on platform companies, here’s one on Amazon enabling lots of new products to come to life. The whole thing is worth reading, but the last paragraph in the article was extremely sharp: “There is this erosion of what it means to be a traditional consumer product brand,” Mr. Wingo said. “In a way, Amazon is providing all this information that replaces what you’d normally get from a brand, like reputation and trust. Amazon is becoming something like the umbrella brand, the only brand that matters.” Amazing. It seems like Evans took Farhad Manjoo’s article (the one right above this) and ran with it, taking it an extra few steps. Two pizza teams, and shipping the org chart are not new - I thought the new insight was Evans’ third consequence “those atomised teams don’t actually need to work for Amazon.” which totally resonates with Manjoo’s argument. This is probably the best survey I’ve read about BTC’s growing pains and the tech being developed to solve them. It doesn’t dive too deep, but will expose you to a bunch of ideas, from the Lightning Network to MimbleWimble (yes that’s a thing). I’m only bullish on crypto long term because I know the community is working hard to build solutions to these problems, even if vanilla BTC is not the one to succeed. I recently read the Basecoin whitepaper which is intriguing, even if a bit too utopic. Having a currency that is pegged somehow to the values in the real economy is a must if we want to transition into a non-fiat world. Paying rent, receiving a salary, or buying bread and eggs with something as volatile as BTC is a non-starter, and one of the tough problems to be solved in the space. This feels completely outdated by now (three weeks is a long time in the cryptocurrency world!) but I decided to share it anyway. Scaling a company is hard. Scaling a company at the pace that Coinbase is doing it seems impossible. They will hiccup along for a while, but having even a tiny glimpse of how things work on the inside is quite interesting. If you haven’t seen O’Beirne’s series, you should definitely click through. The first couple of posts he did on the topic came out while I was working in Maps, and honestly some of his points were disheartening. What Google is doing with their geo data is just amazing. I try not to post more than one article by the same author at a given time, but this one was too good to pass up. Ties nicely with other posts about technology and society I’ve been sharing over the past few months. I’m looking forward to what scandals the tech sector will give us in 2018. A great response to Sam Altman’s Post. I don’t buy that SF is not an open minded place. Something strange about my experience living in the US for the past ~7 years is that the average person I meet in the US (who is FAR from the average US citizen in most respects) is convinced that the US is great, if not the best, in nearly every field. While I don’t necessarily agree with some of the arguments and examples given here, I definitely agree with the overall sentiment: people in the US have a misplaced superiority complex, and if things keep going in the direction they’re going, they’re only going to fall further behind. Speaking of falling behind, here’s Mankiw making some very reasonable arguments for things that we should not be arguing. The higher education system in this country might need some reform, especially on its financing and in the administrative arms race it has triggered in the last couple of decades, but the tax scheme critiqued by Mankiw here is definitely not a solution. Disincentivizing people from going to college is not necessarily a bad idea - we might be subsidizing too much education in some areas - but if that is the goal, there are more direct ways to address it than through taxing endownments. Whenever I see stuff like this I regret not taking any graphics courses at school. Modeling reality is very hard. I remember a few years ago learning about how Pixar did hair simulation and finding it fascinating. The Incredibles was one of the first ones in which they seriously took on the physics of moving hair, and then went all out with their physics engine for Brave. In this article they discuss surface modeling, and a new technique they’re using to speed up rendering. Ever heard about this fake news thing? Here’s some evidence that, at least in Mexico, it goes deeper than you’d think. I wouldn’t be surprised if the exact same thing is happening in the US right now. A great analysis of labor and immigration in a little town in Alabama during the 90s, including interviews with locals, and research by several economists, who together make very solid arguments for immigration. The real issues are xenophobia and complacency. Don’t miss part two. I recently started re-listening to some older episodes of EconTalk, trying to see whether the talking points have changed in the past couple of years. The episode focuses on labor economics, and O’Reilly makes a few good points about changes in how we view labor and reputation today, and how that is changing. Listening to this again made me bump up his book a couple of spots for my to-do in 2018. Sharing this one for the novelty. It is nearly impossible to tell which one is a human and which one is a machine, which is mind boggling. This is another crypto heavy post with plenty of the links in some way discussing crypto assets, but bear with me: there’s other good stuff to read, too. This post is full of non-crypto/non-blockchain interesting ideas, from basic coordination and incentives, all the way to full fledged frameworks to replace democracy, like Hanson’s Futarchy (which I had never heard of before, and found super intriguing!). Framing the problem of governance as one of dispersed information in a changing environment is very Hayekian, which lines up nicely with what I’ve been reading recently. Toward the end, Ehrsam suggests players should focus on the metaprogramming of systems (ie, the decision making workflows/processes by which these systems evolve) instead of the systems themselves. I like this view. A good intro, with both the bull and the bear cases well summarized. As usual, Suster does a good job of making complex topics available to non-technical users. This seems especially important these days. A spin on the basic income idea. Having a large sovereign fund that redistributes its profits seems smart at face value, especially if one believes in r > g. However, it brings up second order questions, like how to ensure such fund is properly managed, or whether those same assets could be more productive out of state’s hands. Sam Altman pushes a similar idea in American Equity, expressing the payout as “an annual share of GDP”. Intriguing, but perhaps too simple to actually work without unexpected effects. Adam Smith: is democracy always better for the poor? I tweeted this out as an “Interesting argument from Milanovic” and he humbly corrected me, saying the argument really is Smith’s. Discussing interactions between democracy and power distribution during the colonial period, Milanovic summarizes Smith’s view: “More democratically-governed colonies (like the British) treat slaves worse because the elite which, in a system of oligarchic republicanism, controls the levels of power is reluctant to punish its own members who are particularly brutal towards slaves.” An unexpected lesson. It made me think of Roberts and Munger’s discussion about slavery, and how plantation owners argued the slaves were better off as slaves than on their own. The system must be full of perverse incentives if that is an idea put forth with a straight face. This investigation of the publication Peter Thiel started while at Stanford was fascinating. Surely, there are other such clubs, at Stanford and elsewhere, with similar outsized influence in the business world. What makes the Stanford Review so interesting is the ideological aspect in this moment in history. I played a bit with the data and built a simple network visualization. As Granato mentions in a different piece, it is strange that by virtue of having been to an elite institution both him and I are just one link away from the people in this group, and of each other. An odd thing about coming to the US, was realizing that no one here knows about filibusters. 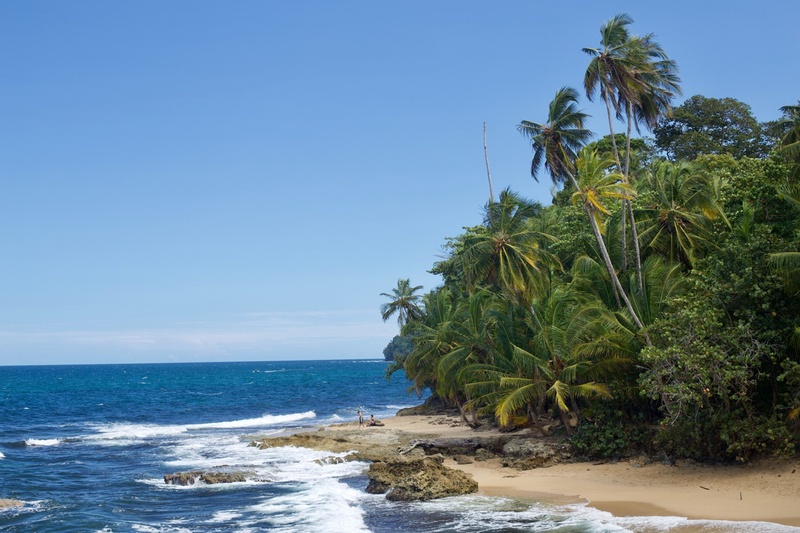 In Costa Rica, their existence is a defining chunk of history. The Walker Affair is disproportionately important to Costa Rican identity. There’s a national memorial holiday, parks named for its heroes, and, after some revisionist history, even the main airport in San Jose got its name from it. Reading this, and listening to Nate DiMeo’s Memory Palace episode on the topic made me notice that while we learn of the incident, in Costa Rica we’re never taught about the motivation. The fact that slavery was deemed legal south of the 36°30′ parallel gave people all sorts of messed up incentives. This guest episode was an odd but awesome mash up of radio advertisments, jingles, and their histories. I still haven’t decided, but I might have to subscribe to The Organist. Until I listened to this, I did not know much about Ruth Bader Ginsburg’s origin story. This episode of More Perfect was especially good. This was in drafts for a while, so posting without comments.